Mom, the Intern: How Target failed everyone. 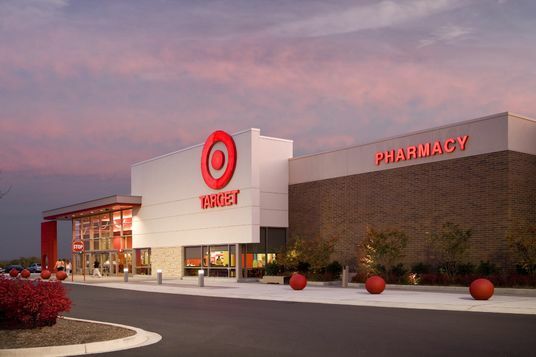 This week, Target announced it welcomes transgender employees and customers to use the gender-specific bathroom or fitting room with which they feel they identify most. And subsequently, half of America collectively lost their minds. Target assured everyone its policy is in the best interest of "inclusivity," a principle it deems a "core belief" of the company. Problem is, in trying to include one group of people, Target excluded another -- those who simply aren't comfortable with the idea. And not necessarily because they don't want to share a toilet with transgender people, but because they are worried sexual offenders will use the policy to their sick and twisted advantage. And, they might just do that. But, that's not what this post is about. It's about how Target had an opportunity to make a revolutionary, forward-thinking decision about its bathrooms and instead, it made a brazen, in-your-face sociopolitical statement. In so doing, Target is not only alienating customers who disagree with the policy, but also the transgender community it attempts to include. The Internet is blowing up with inflammatory comments from all sides. Many parents are loudly expressing their fears and boycotting Target over the policy, while others are praising Target effusively and deriding those who feel any concern. A huge segment of the population is visibly outraged and transgender people are the target (ha). Is it really likely that transgender people will feel comfortable using Target's restrooms now that they know what people really think about the idea? Furthermore, seeing how mad people are, I'll add it might even be dangerous for transgenders to use their preferred bathroom now. I wouldn't put it past some of these angry commenters to turn violent. What could Target have done differently, you ask? A realistic and truly inclusive solution: completely change the current restroom model to include greater privacy and safety for ALL its customers. One of my favorite local restaurants, Liberty Market, has a restroom designed with total privacy for any and all types of people. Males, females, transgender individuals and families -- you name it, and the restroom provides a safe, comfortable experience for them. It's quite simple, really. Each toilet is enclosed in its own room -- three walls and a heavy locking door. They're even relatively soundproof! The sinks are in an open area and shared by everyone. And since the common area of the restroom is open, you don't have to worry as much about shady business going on behind closed doors. Here's a video about this amazing bathroom. The first time I used the restroom at Liberty Market, it didn't even dawn on me that I was in a gender-neutral space until I went to wash my hands ... next to a dude. I freaked out for two seconds, thinking I'd wandered into the wrong bathroom and HOW EMBARRASSING and then, will I get arrested for this?! But my panic quickly turned to amusement when I realized it's just a restroom that actually makes sense. This way, parents can easily accompany their children to the restroom for safety (personally, I NEVER send my children into the public bathroom alone anyway, but this makes family bathroom trips more feasible). Those who are concerned about their privacy have all the seclusion they want. And all but one of the stall doors have both an 'M' and 'W' on them, clearly showing they're for everyone (the remaining one has a urinal in it, so ... take that to mean what you will). How groundbreaking would it have been if Target had announced they would implement this style of restroom in their stores? This change wouldn't negatively affect anyone -- except for Target, who would have to invest some extra money in making renovations. But even then, the return would've been worth it in the long run. Think of the reputation it would earn for being not only equality-minded but smart, too. Instead, Target now has previously-satisfied customers threatening to take their money elsewhere and they're convincing their family and friends to do the same. Internet users are leaving insensitive comments about transgender people which, in turn, further alienates them from using the bathroom. And Target has made progressivism look pushy and bullish by basically saying, "We don't care if you feel threatened in our restrooms -- we're doing this, anyway." Target, you failed. You could have thought outside the box a little and made a truly inclusive policy change. But instead, you took the easier route. You did succeed at making people talk about you for the time being, I'll give you that. You're all over the news and I bet that feels really good. But, you had the chance to do something monumental, something innovative, something that doesn't just talk the talk but also walks the walk, something that benefits literally every person who comes through your doors -- and you didn't take it. Great idea, great thoughts. Kudos to Liberty Market for protecting the rights and privacy of everyone. I've been to Liberty Market twice, but never used the restroom! I probably would have been pretty taken aback as well, so I'm glad to know of this information now, should I go back. And I WILL go back because they have freaking delicious food. I love this post!! All bathrooms should be like that one at Liberty. Oh yeah, yummy food! That video was so funny! Haha. Honestly, the Target announcement isn't a big deal to me. Our Target is new and doesn't have gender specific changing rooms--although I think that is standard through all their stores. Also, there's a family bathroom at our store. Like you, I never send my kids to the bathroom alone anyways, but the family bathroom seems like a good option for anyone concerned. Ah, progress! It's good to see new Target stores with gender neutral fitting rooms. It's definitely not standard for the old ones! I like the family bathroom concept a lot, too.